A wise food blogger once wrote, “Valentine’s Day will be over soon, but chocolate is forever.” So take those words to heart, and join us for some cocoa confections as we showcase thinkspace member Mobisante at our monthly Campfire Show & Tell event! It’s all taking place in the second floor lobby at our Redmond location on Wednesday, February 18 at 1:00 pm. 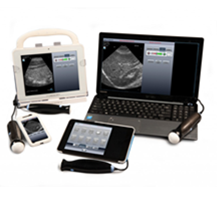 We’ve put the power of diagnostic imaging in the hands of the world. On a smartphone or a tablet from Mobisante or a Windows-based device of your own. Not just in the emergency department or the bedside, but on the street, in a home or a remote village. And at a price for everyone. Make sure you get there on time! Sailesh Chutani, Mobisante’s CEO & co-founder, will begin the event with a brief presentation, followed by Q&A, networking and—of course—chocolate. 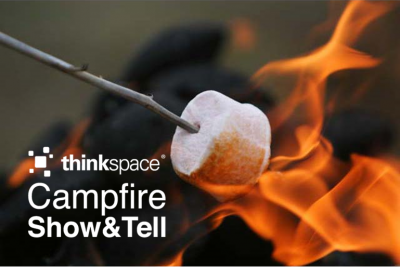 Campfire Show & Tell | Join us for s’mores! Come join us around our imaginary campfire as we kick off our 2015 Campfire Show & Tell event series with some good, old-fashioned s’mores. The event will take place in the second floor lobby of our Redmond location on Wednesday, January 21 at 1:00 pm. Campfire Show & Tell is an ongoing monthly event that allows us to showcase our incredible members—their successes, what they’re launching, what they’re​ working on. 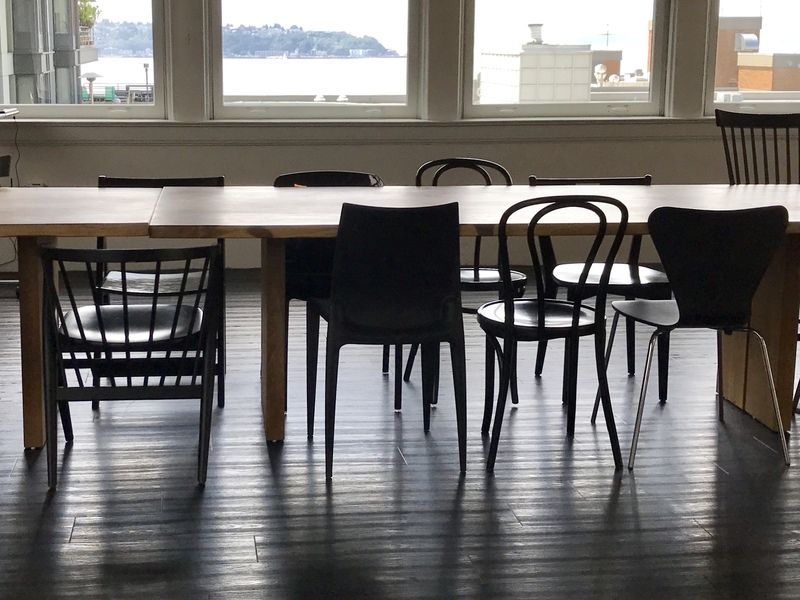 We’ve seen the launch of a new lunch option at thinkspace in Redmond, discovered recyclable furniture, learned about website heatmaps and explored the value of the hashtag. This month, we’re keeping it casual. We’re getting together and roasting marshmallows. So stop by to meet and mingle with the thinkspace team and your fellow thinkspace members! We’ll have marshmallows and good conversation ready for you. https://thinkspace.com/wp-content/uploads/2013/11/website-thinkspace-logo-teal-155x69.png 0 0 thinkspace https://thinkspace.com/wp-content/uploads/2013/11/website-thinkspace-logo-teal-155x69.png thinkspace2015-01-16 09:50:402015-02-11 17:14:14Campfire Show & Tell | Join us for s'mores! It’s that time again! Join us in the second floor lobby at our Redmond location on Wednesday, December 10 at 4:00 pm for our monthly Campfire Show & Tell event! This month, new thinkspace member Tagboard will be joining us for some Christmas cookies and craft brews at our Holiday Happy Hour. No other social discovery mechanism has the same speed, versatility, and widespread adoption as the hashtag. It may seem geeky or trendy to some, but the hashtag is a powerful tool that unites people around common interests and goals. 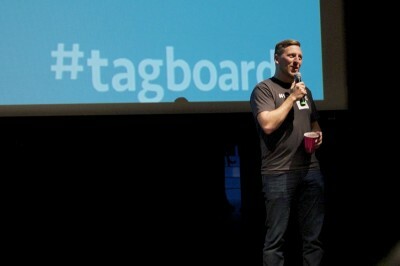 We believe every community needs a hashtag, and every hashtag needs a tagboard. You’ll want to be on time for this one. Tagboard’s founder and CEO, Josh Decker, will be kicking off the event with a short presentation, to be followed by Q&A, as well as the opportunity to sign up for a free trial and group training session. In case you need another reason to be on time, our friends from EveryMove will be here to motivate you to get moving! Come learn about their @Work program, where you can compete in challenges, earn points and win prizes! Read more about it here. We’ll see you on Wednesday for some seasonal goodies, free giveaways and holiday cheer!